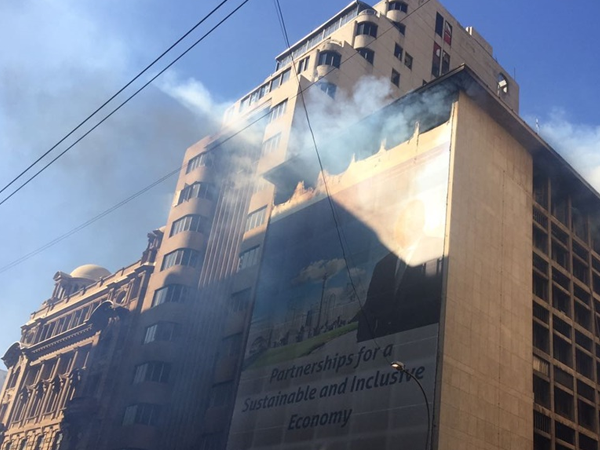 All city officials have been evacuated and Johannesburg Emergency Services are on scene dealing with the blaze. Makhura's spokesperson Phumla Sekhonyane said the cause of the fire was not known. All city officials have been evacuated and Johannesburg Emergency Services are on scene dealing with the blaze. Mahkura was not at the office as he is attending the ANC policy conference.